If I have a car accident, should I see a doctor right away? A check up may be a good idea for both of you and your passengers. You could be injured and not know it right away. If you don’t have health insurance, your auto insurance may pay your health care bills, under the medical coverage portion of your policy. 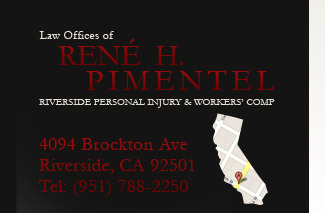 The Law Offices of René H. Pimentel is a professional legal practice located in Riverside, California, that concentrates on cases involving personal injury, workers' compensation and industrial accidents. René H. Pimentel has been in private legal practice for more than 30 years. The Law Offices of René H. Pimentel represent clients in a variety of legal areas, including auto accidents, construction site accidents and temporary and permanent disability. Mr. Pimentel is a member of the California State Bar Association, the Riverside County Bar Association and the Inland Empire Latino Lawyers Association. This Riverside, California firm primarily serves the Inland Empire, including the communities of Riverside, San Bernardino, Claremont, Fontana, Hemet, Hesperia, Highland, Homeland, Lake Arrowhead, Lake Elsinore, March AFB, Menifee, Montclair, Nuevo, Ontario, Perris, Pomona, Rancho Cucamonga, Ridgecrest, San Dimas, Sun City, Temecula, Upland, Victorville, Yucca Valley, Yucaipa, Murrieta, Redlands, Rialto, Mira Loma, Loma Linda, Grand Terrace, Colton, Norco, Moreno Valley, Crestline, Corona, Big Bear Lake, Big Bear City, Bloomington, Blue Jay, Calimesa, Chino, and Chino Hills. This blog is not Legal Advice. The information provided on this blog is for general information purposes only. 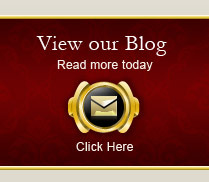 Your situation is unique to the cisumstances of your injury and the information contained on this blog may or may not be applicable to your legal situation. Nothing on this site should be taken as legal advice for any individual case or situation. This information is not intended to create, and receipt or viewing does not constitute, an attorney-client relationship. The information contained on this blog is not a substitute for obtaining legal advice from an attorney. 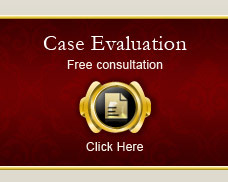 To get the best understanting of your rights under the law, please seek the advice of an attorney. 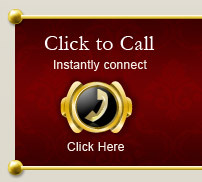 If you are seeking an attorney for an injury claim, I would be happy to discuss your case with you. However, unless we sign a fee agreement, I am not your attorney. Can I claim a job injury after I have been laid off or fired? How much money can I get while I am off work for a work-related injury? Can I get my own doctor for treatment of a work-related injury?